Gee, thanks, Dan Soucek and Jonathan Jordan! Interim Vice Chancellor for Business Affairs Greg Lovins has met with the staff at the Broyhill Inn and Conference Center. He shared that Appalachian’s budget reduction plan recommends eliminating all state funding for the facility. The Management Flexibility Reduction guidelines outlined in Section 9.6 of the State Budget specify that reducing state funding for centers and institutes should be a priority in order to protect “direct classroom services.” I have reviewed several operational models for the Broyhill. Though an extremely difficult decision, given the current funding situation, this action is prudent. 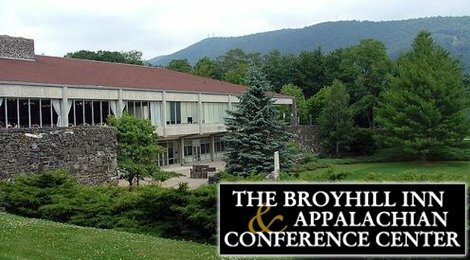 I understand there are questions about reservations and events scheduled at the Broyhill. Our intention is to honor these commitments through the end of the 2011 calendar year. Thank goodness for this change in role. It's been a huge drain on the ASU budget for years. Hopefully these funds will go directly to academic budgets. The state should never have used the school for an excuse to be in competition with private business in the first place. The Broyhill Inn was and is a waste of money. At least student housing is a legitimate use for the building. I've posted on the other blog the people attending the tea party events will be the ones who suffer first and most with budget cuts. Sorry you're losing your job. Wouldn't student housing compete with the private businesses that specialize in apartment/condo/house rentals? So it's ok for them to compete with them but not the hotels? Colleges have historically had dormitories. If you had been able to go to one, you would realize this. These dormitories are not open to the public for short term lodging not related to the education processes of the institution. They are part of the educational system, not rooms for rent. As a matter of fact, most universities require freshmen to live in these dormitories as part of their education. I have to agree with Retired Educator that this is one of the easiest cuts the University could make. The Broyhill was a drain on resources and ASU needs more student housing. It's a win-win in my book. The Fur Ball as an excuse to waste taxpayer money? you have to be kidding! Thank you for your kind words. Please do not grieve too much for me. Whatever happens, I will be fine, but there are many others in our community, in our country, who could really benefit from our kindness and sympathy, like the 143 people who will be losing their jobs at TT Electronics, behind the Boone Mall. Over the next several years, partisan politics will become less important to all of us as we learn that to survive as a people, we are going to need to start trusting, helping, and relying on one another. I see this as one of the 1st fiscally responsible acts by ASU in a long time. This goes against the normal mantra of, do not be responsible with a budget when you can just increase taxes to cover costs. Not to harp on this too much but Student Development will be administering the building. Any revenues generated will NOT be going into academics. As for how the Inn drained the university's budget up to now, someone with a better knowledge of its budget than I can explain--perhaps the ASU Foundation picked up the difference between revenues generated and operating expenses? It operated in the red, that's for sure, but so far as I know no funds from Academic Affairs go into its operations. The point of Jerry's post (with its well-deserved political finger-pointing) is, because the State budget to support academic conference centers has been cut, funds formerly allocated from the General Administration to support the Broyhill now will not be coming to ASU. Without them, the Broyhill can't keep operating. That some people find academic conference centers a waste of taxpayer money is of course a matter of political and economic ideology. I will be curious to see if the Free Market now will be unleashed and Private Enterprise will champ at the bit to build a facility like the Broyhill in our area. One recalls that neither the Sheraton, nor later the Quality Inn chain, could make a profitable go of the building that now is ASU student housing, on the corner of 105 and Blowing Rock Rd. I don't know what your job is, or what you situation is, but, if you are working at the Broyhill and do lose that job, you will be fine! I only know you through your posts on the various political blogs. You have always come across as an intelligent, involved individual - grounded in reality and with common sense! My bet is you will be better off 2 years from now than you are today! Let's try to get past the censorship again. Brotherdoc is right. The free market will fix any problem caused by converting the Broyhill Inn to student housing if there is a demand for product. As the Inn runs in the red, it is evident there is no demand. Does this truth hurt so bad you are afraid of it?